Training Wheelz has been delivering driving lessons in Cranbrook since the town was first being built.for many years. Our excellent first time driving test pass rate and the professionalism of our driving instructors has built our excellent reputation and trust with people looking to learn to drive. The prospect of learning to drive can be quite unnerving but don’t worry, your Training Wheelz Instructor will be fully qualified, CRB checked for your safety, experienced and trained to a very high standard. All EDT instructors conform to the Industry Code of Practice so you will be in safe hands. We know that learning to drive is quite stressful so we try to make the lessons as stress free as possible. As Cranbrook is close to Exeter your first lesson will probably take place in the car park at Exeter Arena. This has the advantage of being a fairly large open space with relatively few other cars there and hardly any other drivers coming and going so that there is no pressure from other drivers. We can then concentrate on the basic controls of moving off and stopping with your instructor looking out to make sure it is safe to move. We would then move on to moving the responsibility more to you to make good all round observations and ensuring it is safe to move. Don’t worry, your instructor will still be checking as well! The car park is also a great place to explore clutch control and learning how to keep the car moving as slowly as possible using clutch control so that you can learn this important skill in a quiet environment. Depending on how you progress, the next step (probably your next lesson) would be to find somewhere quiet where you can practice moving off and stopping on the road. We would include working out how to judge how near to get to the kerb when stopping. Somewhere like Winslade Park at Clyst St. Mary would be ideal for this as it is a fairly enclosed set of roads with very few parked cars to negotiate. Once we have both decided you are making progress with this, we would look to move on to somewhere like the Countess Wear estate where there is a little more going on but the roads are fairly flat and it is a 20mph speed limit. Then we would move on to slightly busier roads, but this would be done in consultation with you. What we don’t want to do is keep going over the same things all the time and wasting your time and money when we are both happy that you are perfectly able to deal with these roads. Future lessons would then look at the roundabouts in the Marsh Barton Industrial Estate and then, at a later date, we would move on the dual carriageways. The A30 out towards Honiton is a good starter for this as it is relatively straight and tends to be a bit quieter than the A38 and A380 towards Plymouth and Torquay. Towards the end of your driving lessons in Exeter you will experience more tricky junctions (traffic lights, one-way systems) and busier roundabouts such as Countess Wear and Sandygate. We will carry out regular assessments to check your progress and allow you to drive for longer periods independently. But don’t worry – we don’t expect you to run before you can walk. 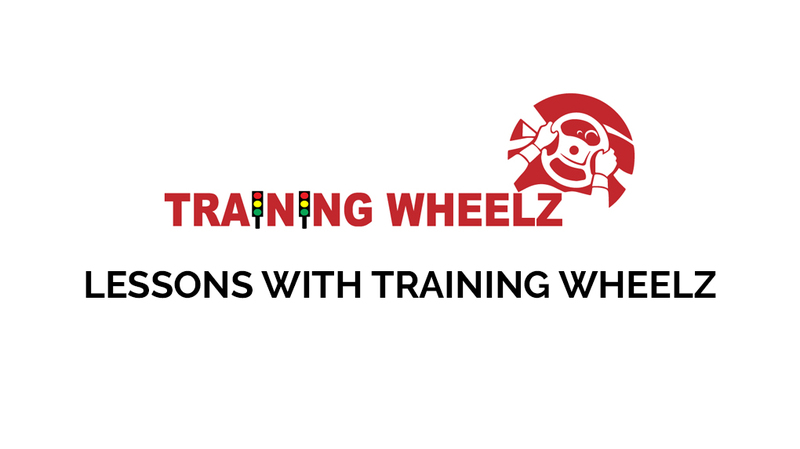 Your Training Wheelz instructor will be with you all the way offering expert tuition and guidance when required.